The company, which is a subsidiary of real estate giant CapitaLand, recently secured contracts to manage five more properties comprising 1,000 apartment units in the cities of Yinchuan, Changsha, Shenyang and Xi’an. These take the company’s Chinese inventory to more than 12,000 serviced apartments, representing almost a third of its Asia Pacific total of 37,000 units. 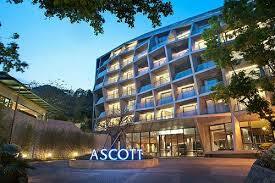 “China is Ascott’s fastest growing market. As the world’s second largest economy, it continues to present tremendous opportunities. Urbanisation, increasing business activities and rising domestic affluence in key Chinese cities fuel strong demand for our serviced residences,” explained Ascott’s CEO, Lee Chee Koon. “Since bringing Ascott from our home base in Singapore to China in 1998, we have grown to become China’s largest international serviced residence owner-operator, with 69 properties across 23 cities. This year alone, we have added some 2,600 apartment units in China. Having crossed our target of 12,000 apartment units ahead of 2015, we are now aiming at 20,000 units in China by 2020,” he added. By this time, Ascott’s Chinese collection is expected to account for a quarter of its targeted global inventory of 80,000 units. The latest five additions of Ascott’s portfolio demonstrate the company’s increasing focus on emerging second tier Chinese cities. The 200-unit Citadines Xingqing Yinchuan, 150-unit Somerset Xingqing Yinchuan and 164-unit Somerset Riverside Changsha will mark Ascott’s entry into two new markets, Yinchuan and Changsha – the respective capitals of the Ningxia region and Hunan province. All three properties are due to open in 2018, and the Yinchuan properties mark the first time Citadines- and Somerset-branded serviced residences have been co-located in the same development. 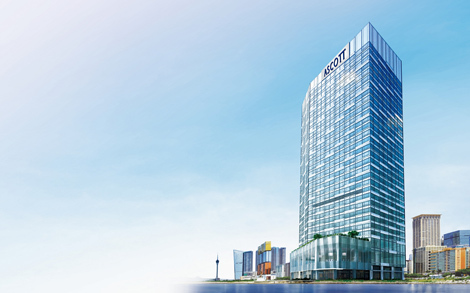 Ascott has also signed its second property in Shenyang, the 330-unit Somerset Olympic Centre Shenyang, and its fifth property in Xi’an, the 156-unit Somerset Xindicheng Xi’an. These serviced residences will open in 2015 and 2016 respectively. 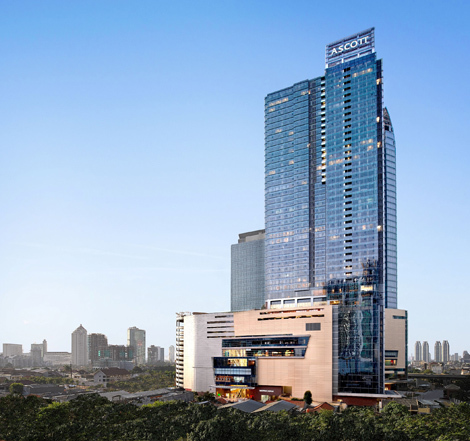 Celebrating its 30th anniversary in 2014, Ascott now operates 24,000 serviced apartment units in Asia Pacific, with a further 12,000 in the pipeline. 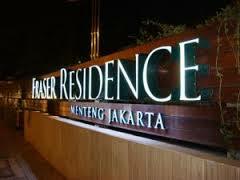 Frasers Hospitality has opened its second property, Fraser Residence Menteng, in Jakarta, adding 128 Gold-standard serviced units to the capital’s business and diplomatic centre. The hospitality arm of the Frasers Centrepoint Group plans to grow its footprint in Indonesia with the opening of another six properties in the nation’s capital by 2017. Properties outside Jakarta are also in the pipeline. 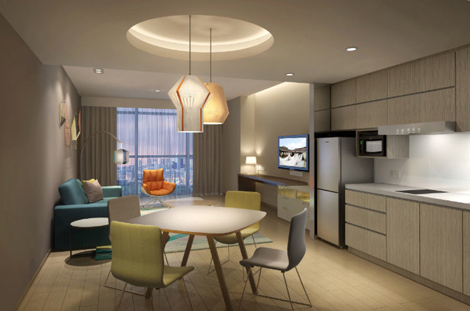 In total, Frasers Hospitality will have an inventory of ten properties and over 1,700 serviced units in Indonesia. With the increased Fraser presence, travellers can look forward to enjoying ten Gold-standard serviced residences in the Indonesian capital within the next three years. “We are very bullish on Indonesia,” said Frasers Hospitality chief executive Choe Peng Sum. “The Indonesian government forecasts GDP to grow 5.6 per cent in 2015. Indonesia has a masterplan to grow to become one of the ten largest economies by 2030. “Our first property, Fraser Residence Sudirman Jakarta, opened in 2011 and has enjoyed occupancy exceeding 90 per cent, “continued Choe. As Frasers Hospitality’s footprint expands in Indonesia, the other Fraser brands will also make their mark in the country: Fraser Suites, Fraser Place and Capri by Fraser, a design-led hotel-residence aimed at the millennial business traveller. Strategically located at Menteng Raya in Central Jakarta, close to Thamrin, the city’s main business district, Fraser Residence Menteng is minutes from offices of multinational corporations, key tourist sites, shopping and dining. While it is in the heart of the business district, Fraser Residence Menteng is an oasis from the hustle and bustle of the city for its guests. It offers round-the-clock security, fitness centre, indoor spa, steam and sauna, lap pool, jet and wading pool. Travellers can save up to 57%, by choosing a holiday rental in certain Asian destinations compared to an equivalent stay in a three-star hotel. The conclusion was part of a cost comparison by TripAdvisor of more than 630,000 properties, worldwide. It showed that families and groups travelling for a week or more can save substantially by choosing a holiday rental. The study looked at the average cost of accommodation for a week’s stay in a two-bedroom holiday rental, as well as a week’s stay in two bedrooms in a three-star hotel, in international destinations popular with Singaporean travellers during the year-end peak holiday season. Travellers, specifically those in need of multiple bedrooms for an extended stay, can save up to 57% by choosing a holiday rental. For travellers planning a trip in Asia Pacific, the greatest savings can be found in Goa, Tokyo and Penang, where a one-week stay in a two-bedroom rental property comes in 57%, 41% and 30% cheaper respectively than the same stay in two three-star hotel rooms. Travellers heading further afield could expect similar savings in popular North American and European destinations, with two bedroom rental properties coming in up to 39% cheaper than two hotel rooms. “Holiday rentals are a great option, especially for families, or larger groups going away for a week or more who don’t mind forgoing certain hotel conveniences, such as housekeeping, room service and a concierge, in exchange for a more affordable stay,” commented Jean Ow-Yeong, TripAdvisor spokesperson. The survey was based on holiday rental and hotel costs in popular destinations from 1 November 2014 to 31 December 2014. The Ascott Limited has secured its first franchise agreements in Vientiane, the capital city of Laos, for an operating serviced residence in the city that will be rebranded as a 116 unit Somerset Vientiane later this year and a 194 unit Citadines Kuta Beach Bali, scheduled to open in August. The new franchise agreements mark a new milestone for Ascott and will be one of the company’s growth drivers for the future, allowing it to build rapidly in existing markets and expand into new ones. “Since opening our first property in Singapore 30 years ago, Ascott has grown to be the world’s largest international serviced residence owner-operator and through franchise agreements, we have added two more cities to our portfolio to reach 85 cities worldwide,” Ascott chief executive officer Lee Chee Koon said. As Laos heads towards more economic reforms and creates more special economic zones across the country, the number of expatriates and business travellers to Vientiane is expected to increase, generating a significant demand for serviced residence in an area where there is currently a lack of international-class serviced residences. Somerset Vientiane will be strategically located within the major commercial area of the new business and residential Sikhottabong district and is a five minute drive from the Chanthabouli business district and 15 minute drive from Wattay International Airport. The four star residence features 116 units and modern business and recreational facilities such as tennis court, lap pool, gym, children’s playground, business centre and meeting room. Meanwhile, Citadines Kuta Beach Bali offers a prime beachfront location in Kuta, and is within walking distance to the retail, dining and entertainment hub of Beachwalk shopping centre. Featuring a choice of studios and two bedroom apartments, the property boasts panoramic ocean views, a rooftop swimming pool and bar, meeting room and business centre. 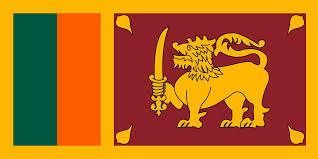 Macksons Properties (Pvt) Ltd the newest business venture of Macksons Holdings entered into an agreement with the BOI Sri Lanka recently for the development of a 100 room luxury service apartment project in the heart of Colombo 3. This agreement was signed by the Chairman of the BOI, Dr. Lakshman Jayaweera and the Deputy Chairman of Macksons Properties, Milfer Makeen in the presence of the Minister of Investment Promotions, Lakshman Yapa Abeywardena, the Deputy Minister Faiszer Musthapha, the Managing Director of Macksons Properties, Mizver Makeen and the Chief Executive Officer, Mr. Ranga Goonawardena. The total investment of this project is Rs 655 Million. BOI has been actively promoting projects that expand Sri Lnaka’s hotel room capacity. This is a strategic objective of the Government, which aims at developing the country’s tourism infrastructure to sustain 2.5 million arrivals annually by 2016. Macksons Holdings is a truly Sri Lankan entity with diversified interests in manufacturing, trading, imports and exports in the Paints, Tiles, Giftware, FMCG, Automobiles, Energy and Leisure sectors; and renowned for their much loved brands Multilac and Macktiles. With Macksons Properties, they consolidate their presence in the construction and leisure sectors by venturing into real estate development. The proposed Hotel/Serviced Apartment at Galle Road, Colombo 3 will have all of the facilities and services associated with modern star class hotels. This state-of-the-art complex will integrate stylish design with solid construction handled by Sanken Lanka Pvt Ltd – Sri Lankan’s number one construction company. 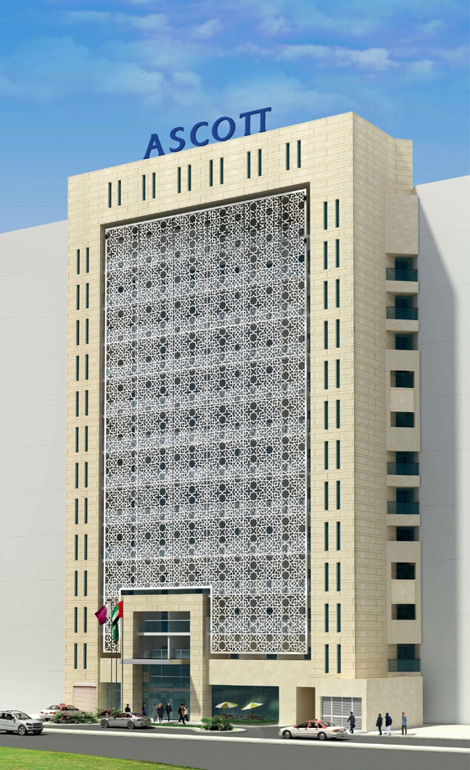 Consisting of 11 floors, with 100 rooms, residents in this exclusive complex will have access to quality restaurants, a swimming pool, gymnasium, the convenience of room service and laundry service, high speed free WIFI facility, ample parking, and so on; providing orderly, luxurious living. A unique feature of this complex would also be the option guests have of renting individual rooms or 2 bedroom or 3 bedroom family suites for flexible periods of time: short or long term, with all 5 Star comforts at an affordable tariff. In keeping with the traditionally exclusive location, this luxury apartment will boast of every conceivable attraction for contemporary living. Elegant, thoughtfully structured living suites offering plush surroundings with the experience of a superlative quality of stay, they will bring residents the added convenience of being at the heart of the city. Centrally located, with easy access to business activities, this complex is close to many of the best local business centers, healthcare centers, restaurants, entertainment venues – indeed all the advantages of living at the very heart of Colombo. The world’s leading accommodation website, booking.com, is expanding beyond hotels with villas.com. The new website was announced at the 2014 Booking.com Global Summit at the company’s Amsterdam headquarters on Tuesday local time. Villas.com is aimed at travellers who are after long-term stays in accommodation that is self-catered and suitable for large groups. Its main point of difference to similar websites is that travellers are given instant confirmation via email after they’ve made a booking. 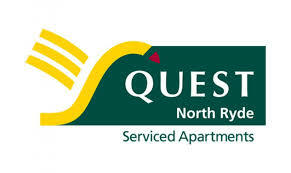 It also guarantees availability at a booked property, sparing any headaches with double bookings. “This is not just another start-up creating more fragmentation in the vacation rental space,” Megan Anderson, Global Head of Villas.com, told media. “When you book with villas, you’re booking with the world’s largest accommodation provider,” Anderson said, referring to booking.com. The site is supported by booking.com’s 24-hour customer support team, and travellers won’t be charged credit card or booking fees. 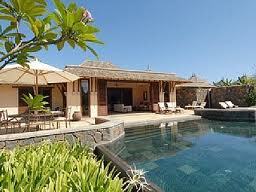 More than 146,600 holiday rentals across 176 countries are listed on villas.com. The majority of those rentals are in Europe, but Anderson said that will change as they expand. There are currently 2547 properties available in Australia, in places such as Port Douglas, Byron Bay and Esperance. There are 330 New Zealand properties listed, in, for example, Wanaka, Napier and Dunedin. 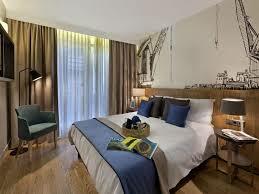 Anderson said the introduction of villas.com was not in response to a fad among travellers to stay in apartment-style accommodation but rather a desire by booking.com to “serve that customer and that segment of the market in a better way”. Villas.com has a focus on sub-regions, meaning travellers can easily find accommodation outside major city and tourist centres. Country-specific experts have also provided suggestions on where visitors can go, and the site features holiday ideas as well as a range of search filters, such as pet-friendly accommodation. With the buzz around aparthotels increasing, we invite the directors behind Epic Liverpool to explain the business case that underpins the development of their two existing Liverpool-based properties and a new 12-key development on Duke Street. The serviced apartment concept is fast becoming an increasingly global phenomenon and in recent years has gained significant popularity, thereby representing a significant competitor for conventional hotels. Especially for corporate guests re-locating on a temporary basis, apartments have become very attractive and tend to offer a whole lot more than the standard hotel. Serviced apartments have a higher occupancy rate than hotels, and the sector is forecast to continue to perform strongly in the coming years as improving economic conditions drive corporate demand. Supply growth continues and serviced accommodation has seen a surge of new openings across popular UK city centres, driven by a demand for short and long term accommodation. The serviced apartment sector is more profitable from a management perspective than a full service hotel, as the overheads are reduced, services and staff level are refined to allow for profits to be significantly higher. Serviced apartments are by far the most popular option for corporate travel, not only are they less expensive than the equivalent hotels, they offer individuals far more benefits. Consumer research in recent years has indicated prominent reasons why business travellers choose serviced apartments in preference to a conventional hotel. One of the main factors is more space, as guests can find that they can work remotely and more productively as a result of the additional space that apartments tend to offer. Space varies per apartment for a number of reasons but usually apartments are available to hire in a studio, one or two bedroom apartment. Having the option of a furnished apartment for a short or long-term stay, is much more appealing as it provides guests with everyday creature comforts, that make a stay far more pleasurable. Serviced apartments tend to be more popular as they on average are more cost effective, whether it’s an all-expense paid business trip or a leisurely weekend away serviced apartments offer superb value for money. With a serviced apartment there are no hidden extras and if you opt to stay for a longer period of time, the cost per day usually works out cheaper and overall the money saved is more significant than hotel accommodation. Serviced apartments provide more space and privacy, which is convenience when traveling, in a group or with work colleagues. Serviced apartments offer more flexibility, allowing occupants to dine in with the option to cook in the fully equipped fitted kitchen area. 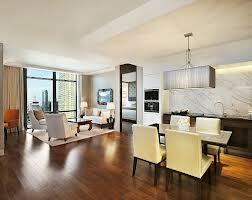 This can result in a lot of money being saved especially if the time staying at the apartment is lengthy. Serviced apartments tend to offer a very high standard and in many city centre locations, guests are presented with fresh contemporary décor and modern furniture, the quality expected from a hotel room is usually matched or better, in comparison to hotels alike. If traveling for business and requiring a longer stay than usual, the addition of a dishwasher and washer/dryer is an added bonus, with some serviced apartments packages breakfast packs and bottles of wine or champagne can be supplied, offering convenience and flexibility to guests. The luxury of having everyday amenities on hand brings savings associated that hotels charge for, for example serviced apartments house a fitted kitchen allowing for meals and meetings to be taken place in the social area of the apartment. This not only brings saving costs it also offers great convenience. Serviced apartments are more cost efficient because their rates are usually lower than that of hotel rooms, and serviced apartments also offer long-term rates, which convert to discounts. More space in serviced apartments allows groups to travel together and the cost can be distributed between guests, this isn’t an option with a conventional hotel as they only offer one room. Serviced apartments are a growing sector and the market is becoming increasingly educated as to the benefits that the serviced apartment offers over the traditional hotel room. The hotel sector is moving towards serviced apartments either by acquiring or developing their own brands or by offering certain service elements, for example by introducing apart hotels to their customer base. Though Tripping, a one-time social travel site, has begun to make a name for itself in metasearch for vacation rentals, the start-up has bigger ambitions. Now it will get a boost with the help of venture capital. Tripping revealed via a Facebook post last night that it has received a Series A round of financing. The round closed on May 9. A source told Business Insider that the round was more than $5 million, though the start-up would not confirm the sum. Tripping, which launched in 2010 [see our TLabs profile], said the investment was co-led by an existing investor, Quest Venture Partners, and a new one, Recruit Holdings. The later investment was by the RGIP Fund, whose existence Recruit Holdings revealed today. It’s a 4.5 billion yen venture capital fund in Japan. RGIP says it plans to make additional investments in other travel companies to add to its existing ones in Jalan (one of Japan’s largest travel websites), PegiPegi (Indonesia), Mytour.vn (Vietnam), and TravelBook.ph (Philippines). A number of other new investors, including former Expedia CEO Erik Blachford, Qunar founder Fritz Demopoulos, and NFL athlete Shawntae Spencer, also participated. Tripping has 16 suppliers, such as HomeAway, HouseTrip, Flipkey, Interhome, and Booking.com, and it says this coverage gives its users access to 1 million properties worldwide. CEO and founder Jen O’Neal said in an interview that the company has a queue of about 40 suppliers that it wants to add to the system. Until last month, Tripping was a five-person team, though it has now added three more staffers to its offices at 111 New Montgomery in San Francisco. O’Neal also plans to use the funding to boost marketing spend, to drive more traffic to the site. She says that, up until now, the company hasn’t done more than $1,000-a-month worth of marketing. She declined to share her company’s traffic or revenue numbers. 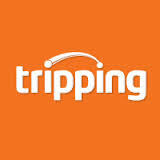 Tripping launched in 2010 as a social travel site connecting local hosts with travelers, a la Couchsurfing. It gained users in 150 countries within 30 days, but it never found a viable revenue model. O’Neal decided to take her team to Lake Tahoe for an off-site brainstorming session. They tried to rent a place on Airbnb or VRBO. But the research phase was so painful that they gave up and opted for camping in Big Sur instead. As O’Neal tells it, around a campfire, they realized that bringing the aggregator model to vacation rentals was a potential opportunity. Within 30 days they launched that as their new business plan. In 2011, they received a seed funding round of $1 million, in a round that included Launch Capital and Tim Draper of DFJ Venture. This month’s funding comes on the heels of Booking.com’s launch last week of Villas.com, a standalone brand in the market. O’Neal says that the deepening market work by global brands has a halo effect for the vacation rental industry by helping to build consumer confidence in the concept, which boosts transactions for smaller players indirectly. “The vacation rental industry is at least 10 years behind the hotel industry when it comes to online distribution.